Kelly Judd is a digital marketing and client success specialist with over a decade of leadership experience in small and growing companies. 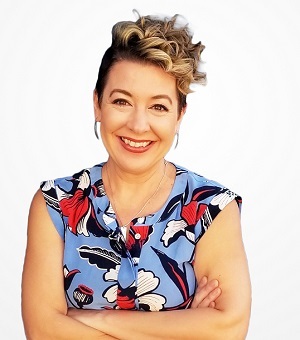 As Affinity’s Director of Marketing, Kelly is responsible for aligning marketing strategy with organizational goals, serving as webmaster and administrator for our website and digital marketing platforms, overseeing the work of our marketing team, and supporting client engagement and client success programs. Kelly is a Jill of many trades, and she likes it that way. A born performer, she has been most at home onstage since her first solo vocal/keyboard performance at age 4. Kelly made the switch from keys to acoustic guitar and began writing her own songs shortly after relocating to Colorado (by way of Indianapolis, Seattle and Dallas) in 2010. In addition to performing regularly as a solo artist, Kelly is a professional voice over artist, specializing in corporate narration. Recent projects include videos for Philips Healthcare and World Vision. She is currently pursuing a master’s degree in Clinical Mental Health Counseling as part of a lifelong dream to help empower others to look inward for hope and healing. Kelly lives in north Denver with her husband and daughter.